Continuing a recent campaign, Apple is promoting a deal in which people can get 20 percent off parking fees if they use Apple Pay in SpotHero's iPhone app. The discount is valid through Jan. 25, but applies only to a single SpotHero reservation valued up to $5. Accordingly, it can't be used for monthly parking or business accounts. 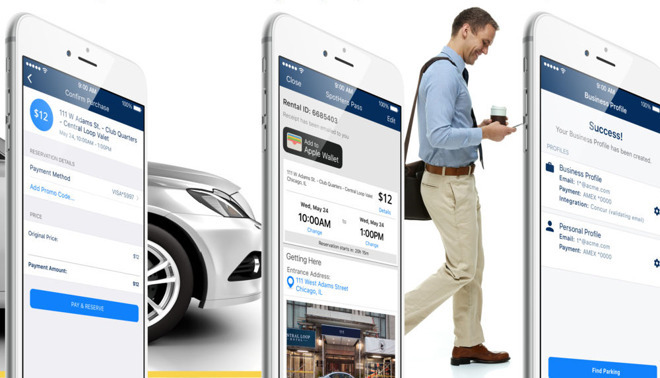 The app lets users book in advance at lots, garages, and valet services in a number of major U.S. cities such as Chicago, Los Angeles, New York City, and Washington. Once a reservation is paid for, drivers only need to park their vehicle. Apple has highlighted similar promotions in the past few weeks for Instacart and sneaker trading service GOAT. In mid-December, the company offered shoppers a $5 iTunes/App Store gift card for using Apple Pay with one of a number of merchants, such as JCPenney, Macy's, and Warby Parker. There's a strong financial incentive for Apple, since the company not only claims a small fee from each transaction but can sink people deeper into its hardware ecosystem.